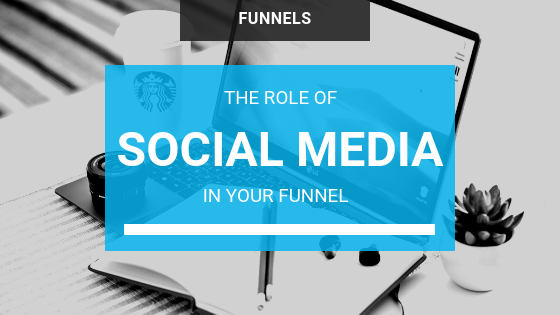 What Role Does Social Media Have in Your Sales Funnel? You’ve probably heard it over and over again if you’ve done any kind of training in the online world. Post everywhere on social media: your page, your profile, your groups, other people’s groups, and anywhere else you think might work for you. I spent a lot of time on social media early on and there are benefits and drawbacks to every part of it. Spending time on social media sites like Facebook, Twitter, Pinterest (not really social media but still…) and LinkedIn can be a great way to build a pool of prospects or leads. Or it can be a total waste of time. LinkedIn is full of millions of business professionals that are more serious about the way they spend their time online.People on Facebook are there for conversation and connection, and both Twitter and Pinterest users have their own unique characteristics and patterns of behavior. Simply put, not all social media sites are alike when it comes to your sales funnel. However, as a general rule, social media is a great place for doing a very specific job in your sales funnel ... creating leads. Social media sites are meant for just that -- socializing. Your friends and connections are generally hanging out to have a good time, let their guard down, and are not usually looking to buy products and services. Even on LinkedIn, populated by serious business minded professionals, people are not usually looking to buy your products and services. They are on social media, however, for engagement. They want to chat, interact and hang out with people a lot like themselves. This means social media offers a great opportunity for you to connect with your target audience. Present yourself as a "real person" rather than someone doing business, or as a business that is made up of real people that really get them. Your job is to put out great content that answers big problems and solves real questions for your audience. The top of the funnel is the perfect place for social media. This is where you build a list of contacts by offering a free product or service in return for an email address. This is the "meet and greet" stage of the sales funnel, where you let people know about you and your business. Keep the conversation casual on social media sites during this process. Think of social media as a coffee date. If you go in expecting a ring on the first date, you’ll lose your prospect before they get a chance to know how great you are. So socialize, put out great content, show your expertise without being pushy, and persuade (not convince) them that they’re missing out if they don’t opt-in for a second date!